The antique rugs of Bessarabia are almost all flatwoven with profuse, semi-French patterns, and woven in southern Russia, originally for an affluent domestic market. 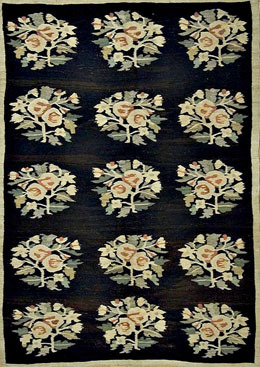 Designs of floral bouquets and vases, often on desirable black grounds, are popular on 19th century carpets, often in large, square sizes. A few rugs are pile woven, however. The designs still feel contemporary even though they employ traditional elements. 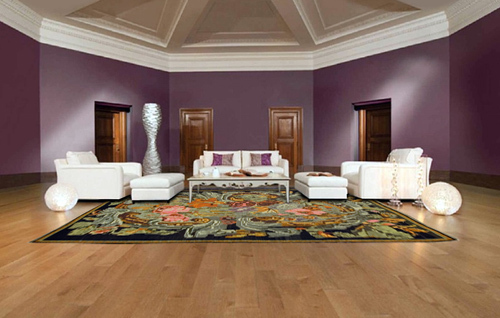 Although the original market was the Russian nobility, now everyone can enjoy the rugs exotic yet European flair.